[ WTK Holdings ] – Timber Rally Soon ??? – J4 Investment Capital . 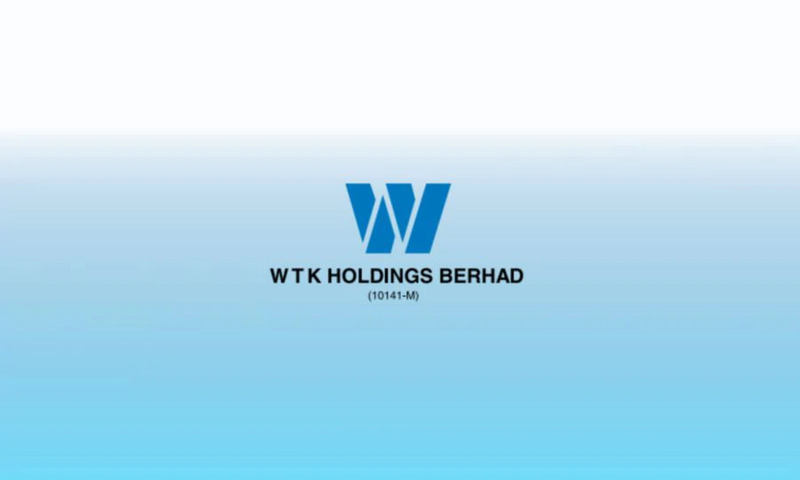 WTK Holdings Berhad is a diversified group with operations in the timber, plantation, oil & gas and adhesive tape sectors. The core activity of the Group is in timber harvesting and the manufacture of plywood products. Prior to that, the Group was involved in the manufacturing of adhesive tapes and flexible packaging products. In mid-2000, the Group embarked onto forest and oil palm plantations. Seeing the growth potential and increasing contribution of the oil palm business to the Group’s earnings, the Group commenced the construction of a palm oil mill in Limbang Division, Sarawak, in 2016. The completion and commissioning of the palm oil mill during 2H2017 has since added a new stream of revenue to the Group from the sales of crude palm oil (“CPO”) and palm kernel (“PK”) In late 2014, the Group diversified into the oil & gas industry, particularly in the provision of Accommodation Workboats (“AWBs”) to support offshore oil & gas activities. However, the downturn of the industry in 2015 affected all facets of the industry, including the Group’s division which struggled with the challenges since 2016. This severely affected the performance and cash flow of the Group’s oil & gas division due to the prolonged off-hire of its vessels. Subsequently, on 22 February 2018 the High Court of Malaya in Kuala Lumpur ordered the subsidiary be wound-up and appointed a liquidator for the subsidiary. The timber division comprise of upstream timber harvesting operations and forest plantations, and downstream timber processing operations which is mainly in the plywood manufacturing. All these operations are located in Sarawak, Malaysia. India is the dominant market for the Group’s logs export, accounting for 90% + of total logs export. The division is the key revenue driver for the Group. It generated more than 80% of the Group’s total revenue. The segmental contribution within the timber division comprised of: timber harvesting 40% and plywood manufacturing 60%. For the Group’s plywood manufacturing, the three plywood mills are located in Sarawak. These mills have a combied annual production capacity of up to 324,000 m3 . The various types of plywood produced are such as general plywood, concrete panel & structural plywood, and floor-base plywood. The Group has built up a strong and significant customer base in Japan, with 84% of its export sales to the country and the remaining 16% exported to Taiwan during 2017. The Group’s five (5) oil palm estates are located in Sarawak, namely in Limbang Division, Oya in Sibu Division, Kuala Baram & Lapok in Miri Division which is inclusive of the designated areas for the LPF with a combined land-bank of 35,000 hectares (“ha”) and a palm oil mill in Limbang Division. This division manufactures various adhesive and masking tapes. It is well-known for its brand name cellulose tapes, that is Loytape® Cellulose Tape and the Star®. Increase in the average selling price of logs and plywood of approximately 15% and 20% respectively . 8,700 hectares of unharvested trees which will be harvested in 2020 . High demand for plywood in Japan for the preparation of Japan 2020 Olympics Game . Mature palm hectarage getting higher in 2019 compared to before reaching almost 100,000 MT . Hedging done in the Tape Division where they paid by USD and pay for the raw materials in USD too. Oil and Gas division which they recorded a huge loss in the previous financial years has finally being fully written off. Palm Oil price which has been their lowest price since these few years . High NTA and CASH . 20-30% of dividend policy . Lower logs export quota imposed by the Sarawak State Government . This has made the group to limit their export sales and increase the selling price of logs . Weakening of INR vs USD caused India Market to become soft . Lower palm oil price . The group has recorded a very strong fundamental result based on their past performance. With a great cash flow , high cash storage , and being a net cash company , it would definitely make this company a stock to watch. Another point is that being a diversified company , they managed to run their business in a safer way and having a more stable growth. The main business which is the timber division is currently having their upside period as the selling price of both logs and plywood are rising and in their high demand state . The one point which has to notice is the price for palm oil . This might affect the whole plantation division if the price has no ending of falling . From the chart above , the downtrend line has been violated with high volume ( the prerequisite of trend reversal : volume + trendline violating) , it shows a absolute trend reversal from technical terms . After a setup of trend reversal with explosive volume , a cup-with-handle formation is then formed , using a one-to-one measurement technique , a target price of 0.88 is given after violating the cup resistance @0.6 . Now, a continuation uptrend is impending , therefore a strong buy is being awared in these coming days . Sums up from the chart pattern analysis above , a TP1 of 0.88 is formed ( 47 percent gain). A TP2 of 1.17 is the ultimate target in terms of technical analysis . Using the cash valuation method , with a very conservative growth estimation of 5 percent , a projected intrinsic value is RM4.96 . It is way too cheap compared to the recent price of RM0.60 , there is an up to 90 percent discount in terms of this valuation modal . Using case study 2 , we estimate there is a downturn of company performance of -5 percent per subsequent year , the intrinsic value is located at RM 3.33 , it is still a cheap piece of stock . Therefore , in terms of either intrinsic value or technical analysis , this stock will be the top of my watchlist . please refer to your advisory for any buy or sell call , buy and sell at your own risk .